Open Arms Learning Center & Noah's Ark Preschool provide age appropriate learning in classrooms for children ages 6 weeks through 12 years. Our experienced Teachers move through the classroom with the students so they get that one on one attention throughout their time with us. Our program provides a safe, healthy environment in which every child has the maximum opportunity and support in developing to their full potential. In addition we strive to prepare children for their educational years and to enter school with the skills they need to achieve success, and to enhance children’s social, emotional, physical, and cognitive development. Our staff are highly trained and can identify any possible disabilities and delays in young children and assist them in receiving services early. We involve parents every step of the way in their child’s education and give them resources to reinforce their child's learning at home. Our curriculum will assist children in developing critical thinking and reasoning skills, social skills, positive self-esteem, and conflict resolution skills. We promote an effective multicultural education foundation by means of which all children can learn to accept themselves and others. We are a non profit organization and work with all families to assist them in getting the best care for their children. We accept all forms of state assistance including Vouchers, TEA, Career Pathways, and ABC (Arkansas Better Chance for School Success). 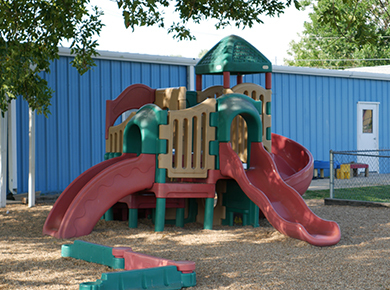 Our facilities provide a safe and secure learning environment for children with 24 hour video surveillance and keyless entry system. Our keyless entry only allows access for authorized family members with a unique ID code to enter the facility. Children are signed in and out with fingerprints of parents or with authorized pick up persons. You can rest assured that your children will be safe and protected while in our care. We have an open door policy and parents are always welcome in our family friendly facility and are invited to take part in the growth and development of their children. Throughout the year we have many children and parent activities including fun field trips, family nights and more. We also have scheduled parent-teacher conferences to keep you informed on the status of your child's education and progress. We offer van pick up from Mountain Home Kindergarten, Nelson-Wilks-Herron, and Hackler Intermediate during the school year. We offer a summer camp for school age children that includes swimming, bowling, going to parks, fishing, community give back projects, and other exciting daily field trips. 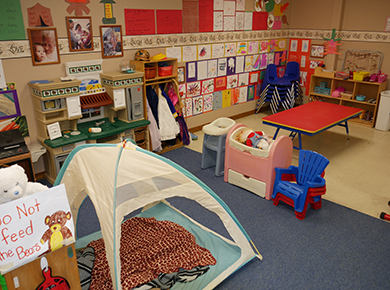 For more information about Open Arms Learning Center and Noah's Ark Preschool, contact us today to schedule a visit.